Facilities Management (FM) provides maintenance, grounds, and custodial services to the entire campus. FM serves as a partner within the zone structure for the Contract Colleges (CC), Endowed (EN), and Student & Campus Life (SCL) zones. As a key steward of the University’s facilities, FM is responsible for facility assessments, skilled trades, general construction, building care, grounds, recycling, asbestos, and the management of planned, corrective, and preventive maintenance. Zone Management is an organizational structure for Cornell’s facilities. Zone management creates a stronger partnership between Facilities Management and unit facilities staff and is intended to improve the delivery of maintenance services at Cornell. Our goal is to provide these services in a timely and cost-effective manner with minimal disruption to faculty, staff, and students. 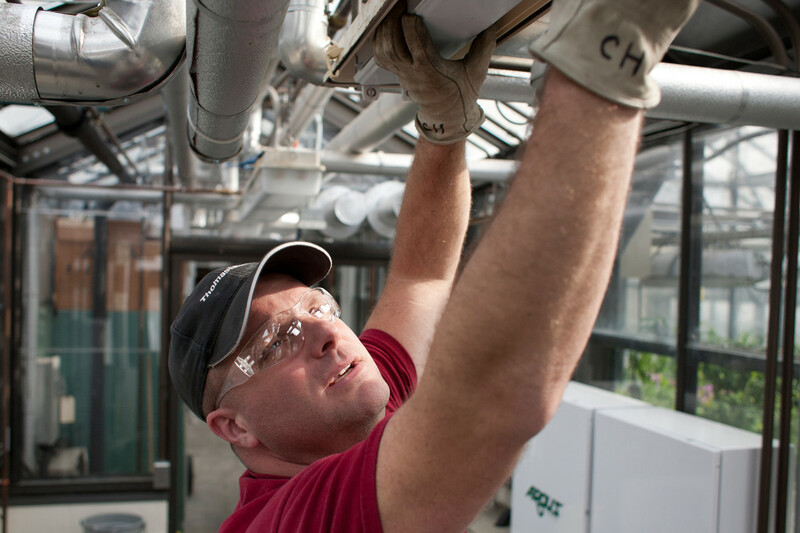 Our maintenance operations insure Cornell University’s ability to meet its mission through our vision to harness the energy, talent and creativity of the Facilities Management team to provide consistent service to all facilities that results in a safe, attractive and functional campus. We have divided 16 million square feet of academic buildings into 3 zones to manage the delivery of building maintenance services. This enables the Zone staff to know their buildings and focus on understanding the programs taking place in the buildings which enables them to better address unit needs.